The usual cool mountain breeze was absent the day I stood atop the mountain ridgeline of Mixco Viejo, but still it felt like a smaller version of Peru’s Machu Picchu. 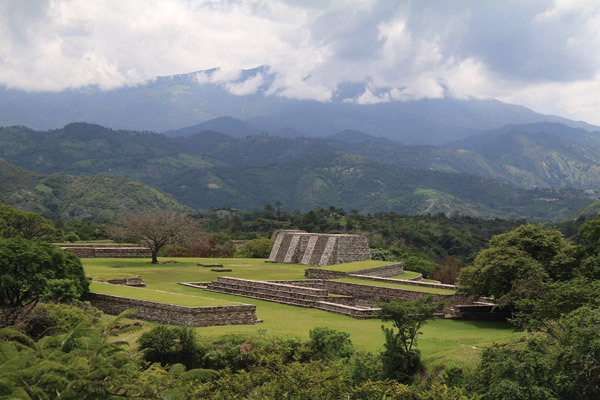 Standing there your eyes drink in every shade of green as peace surrounds you, leaving you wondering if this is how the ancient Maya felt when they stood on the same peak overlooking these same mountains. The magic of this place somehow spans 600 years, connecting you to a part of something larger than yourself, an ancient world. Ball Marker. The feathered serpent with a human head in its jaws. 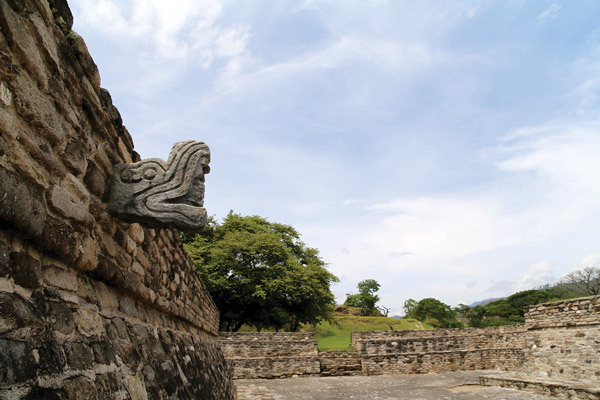 The archaeological site of Mixco Viejo ruins is located in the heart of the Maya world, only an hour and half from La Antigua Guatemala or approximately an hour from Guatemala City — perfect for a day trip with friends, family or on your own. 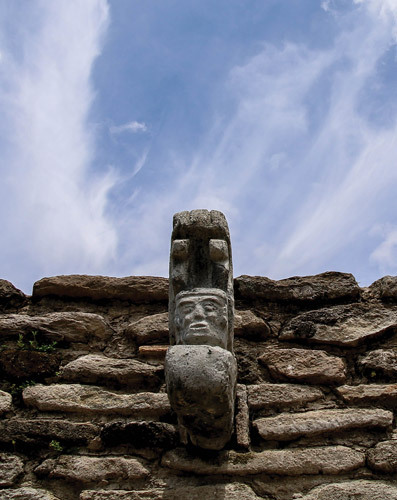 Surprisingly enough, this site is not swarming with tourists, making it easier to roam the mountaintop ridge experiencing this ancient site as one of the Maya would have lived their everyday lives. Like something from an Indiana Jones movie, you enter through a natural trench carved out of the surrounding rock. An immense ceiba tree stands as a silent sentinel, its vast branches sprawling out to provide much-appreciated shade for visitors checking in at the booth for a quick orientation before admittance. 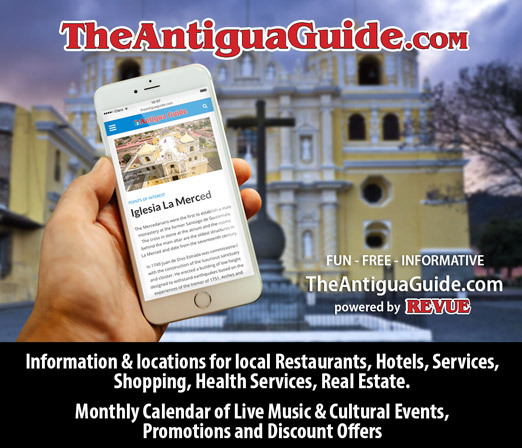 How this mountaintop fortress city successfully fended off the invading Spaniards attacks in 1525 becomes clear when gazing upon the huge topographic map just inside the entrance. The model clearly shows the surrounding ravines that helped make this citadel impregnable, ensuring it prevailed during the post-classic period wars. Archaeologists, scientists and historians alike praise the planning of this city. Centrally located as the most important element of their culture was the religious ceremonial area. Surrounding mountaintops were commercial and military with the estimated population of 1,500 scattered around. As you roam among the city’s remnants, huge trees provide shade and a cooling effect enticing you to take time exploring pyramids, platforms, ball courts, houses, temples and altars. 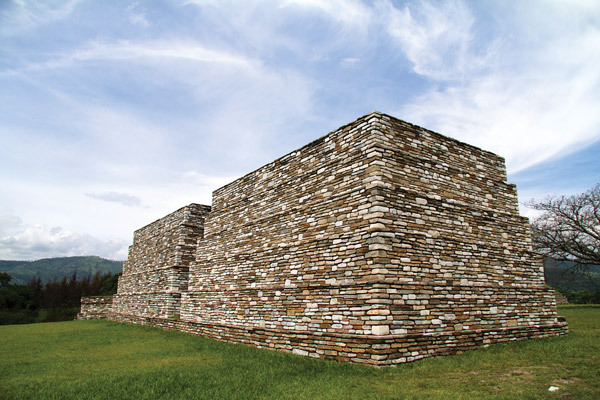 The structures were built of a local stone laced with shiny, mineral compounds obtained from riverbanks below. According to archaeological evidence, all buildings were coated with layered stucco and painted various colors. What an amazing sight that must have been, no wonder the invading Spaniards desired such a city. Clearly marked pathways and signs make the site easy to navigate. 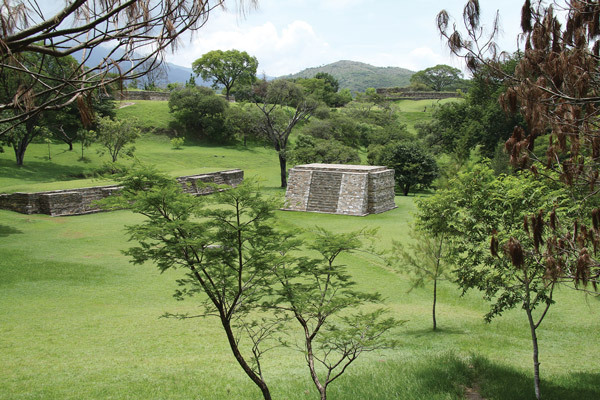 You can visit Mixco Viejo through travel agencies, with a tour guide and private driver or by taking a shuttle and discovering the wonder for yourself. REVUE article and photos by Belinda Woodhouse. What did they make sport balls out of? 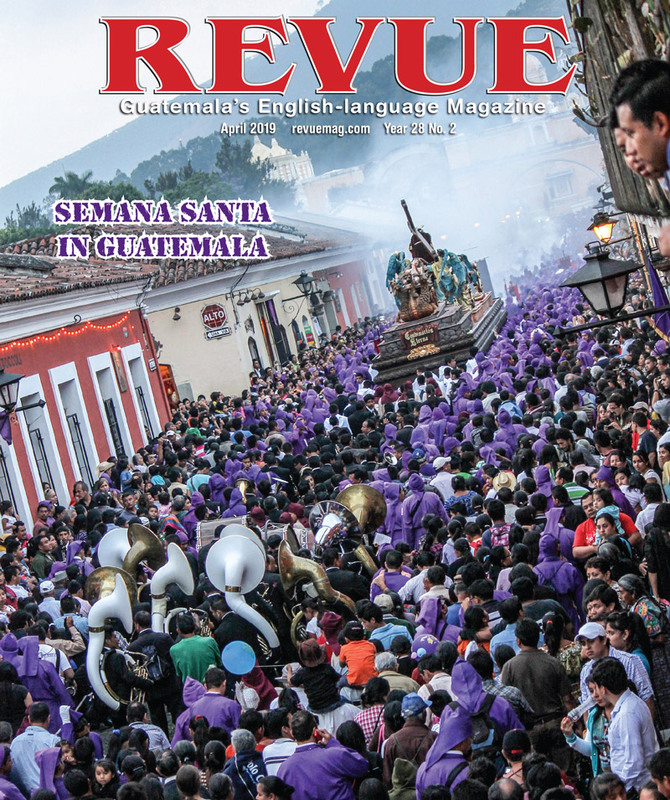 It’d’ve been nice if the writer had a bit more space to talk about the pieces that the French excavated from the site in the 1950’s but have never returned to Guatemala or whether any negotiations have taken place between the two governments to repatriate the artifacts.